The Stage Editor's View: Peterborough's Broadway – cursed, or just badly run? Can a theatre be cursed? Well, no, but it can certainly develop a bad whiff about it. Two years later, critic Matt Wolf asked in the Guardian: “Can Hairspray shake the Shaftesbury curse?” The Evening Standard answered the next year in an article entitled: “Shaftesbury curse is lifted by Hairspray”, as the musical picked up four Oliviers. But, it’s not as if the Shaftesbury is built upon an accursed ancient burial ground, it just got rented out to the wrong shows and, as more of them failed, it became harder to attract potential hits to an address that had a reputation for failure. Since Hairspray, the theatre has rebuilt its reputation and its tenant, Motown the Musical, has been running since February 2016. Which brings us to the Broadway Theatre in Peterborough. If ever someone had placed a hoodoo on a theatre, this would be it. It first encountered problems in 2009, when it closed following a fire, suspected to be caused by arson. It reopened in 2011 (although “a faint smell of smoke permeated the front stalls”, according to local press) before it emerged that the person running the venue was convicted fraudster Paul Coxwell (operating under a new identity). The theatre closed again, owing producers and suppliers thousands of pounds and leaving many staff out of work. Coxwell was later found guilty of fraud (again) and sent back to prison. 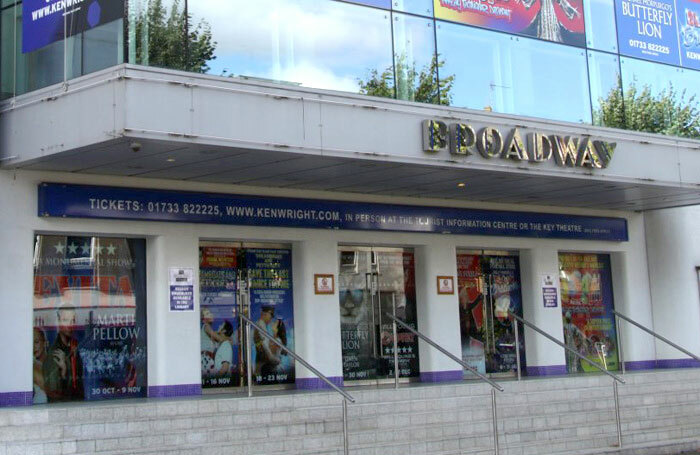 The theatre remained dark, other than for two short seasons staged by Bill Kenwright in 2013 and 2015, before reopening permanently in September 2017, under new management. Now, that management has also gone bust, again owing thousands and reportedly leaving more staff out of work . Like the Shaftesbury, rather than being cursed, the reasons for its repeated failure are more prosaic. In the Broadway’s case, the wrong people running the theatre, a stage that is not suitable for most touring productions of scale, a worsening reputation, and a 50-minute train journey into London and the West End have all probably played their parts. Then again, a google of ‘Peterborough plague pits’ reveals two such sites were unearthed nearby in 2009 and 2014. And, as any horror movie fan knows, that can’t have helped.